After Marcel Risse's sensational free-kick handed them an injury-time win over rivals Borussia Mönchengladbach, Köln will be looking to seal back-to-back Bundesliga successes for the first time since Matchday 4 as they entertain Augsburg. The only problem? They haven't beaten the Bavarians in five Bundesliga outings, since a 3-0 home win in October 2011. 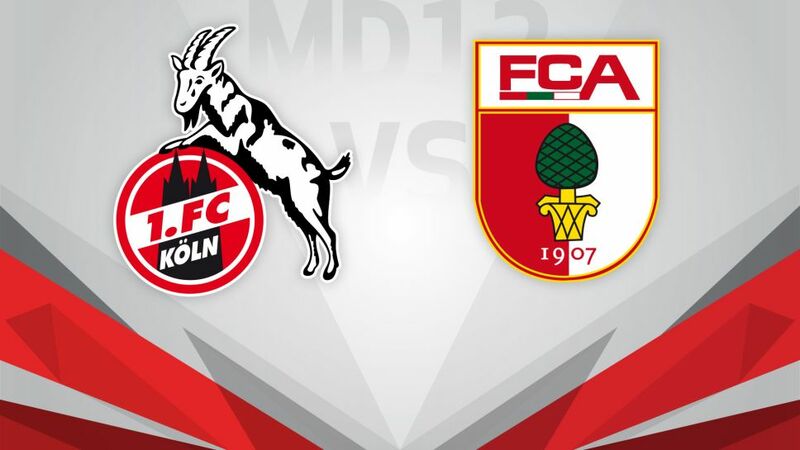 Coach Peter Stöger will be hoping that with the help of Anthony Modeste – European football's joint-top goalscorer – the Billy Goats can finally get the better of Die Fuggerstädter and possibly go as high as third. Augsburg come into the weekend in 12th place, and so far they have only managed to beat teams below them in the table – SV Darmstadt 98 (15th), SV Werder Bremen (16th) and FC Ingolstadt 04 (17th). Three points against Köln would give Dirk Schuster's side a little bit of breathing room, and they should be feeling reasonably confident after holding in-form Hertha Berlin last time out. Perhaps Schuster's biggest concern is goals – Augsburg have only netted 10 times in 11 outings.